The resort hosted four Irish Opens between 1996 and 1999, when winners included Colin Montgomerie and Sergio Garcia. 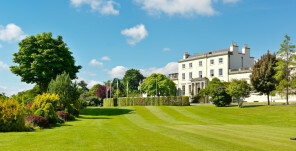 THE FIVE-STAR Druids Glen Hotel and Golf Resort has gone on the market for a guide price of €45m. The luxury resort, located near Newtownmountkennedy in Co Wicklow, is well-known among golf fans across the country, having hosted a number of prestigious tournaments over the years. The hotel, which first opened in 1995, is located on a 349-acre site and is made up of a 145-bedroom hotel and two 18-hole championship golf courses. 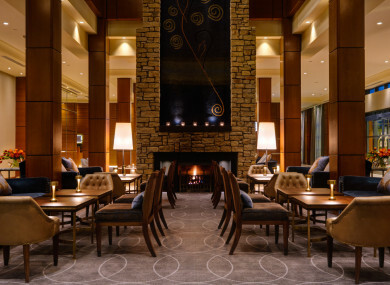 It later upgraded to a five-star Marriott resort in 2002, while the entire site has been fully refurbished in the past four years, and is free of brand and management agreements. It now contains 145 air-conditioned guestrooms and suites, eight conference and event rooms, a spa, a health club and three dining options. Commenting on the sale of the hotel, Druids Glen Hotel and Golf Resort chief executive Edward Stephenson called it "one of Ireland’s key destination resorts". Meanwhile, Tom Barrett of Savills Ireland, the company heading the sale, said: “Druids Glen Resort is one of the jewels in Irish hospitality. "Located within the growing Greater Dublin area, home to 1.9 million people, it will appeal to domestic and international buyers”. The resort acted as the venue for the Irish Open from 1996 to 1999, when winners included Colin Montgomerie and Sergio Garcia , while it also hosted the international Seve Trophy in 2002. Email “Five-star Druids Glen Hotel and Golf Resort goes on the market for €45m”. Feedback on “Five-star Druids Glen Hotel and Golf Resort goes on the market for €45m”.